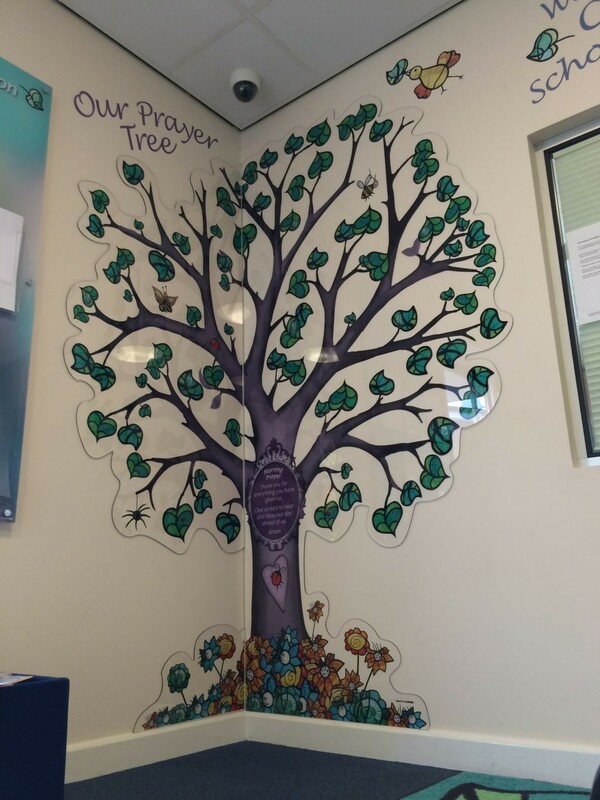 A colourful tree designed as an interactive display to be used for example as a Book Review Tree, Prayer Tree, Aspirations Tree or Leavers Tree. 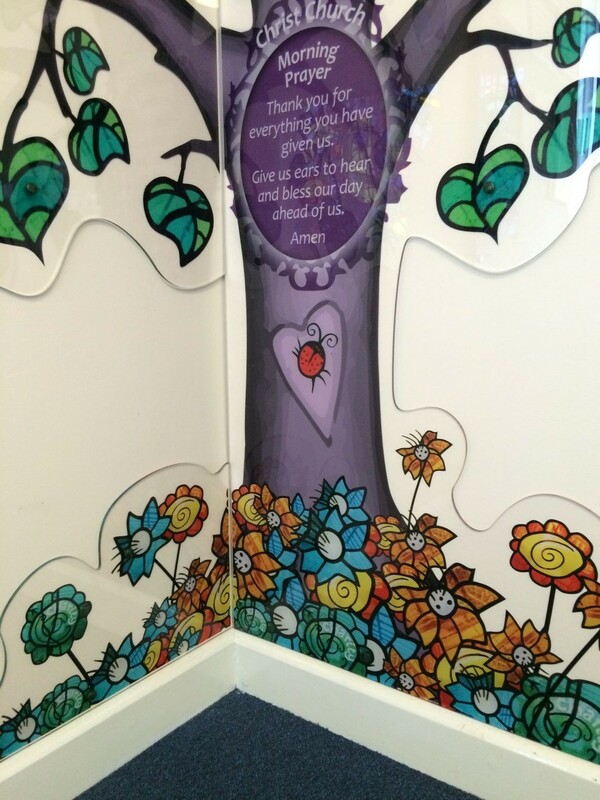 The design has small acrylic hooks placed within the graphic allowing for children’s work (hand written book reviews, prayers, poems, notes etc) to be displayed and changed regularly. 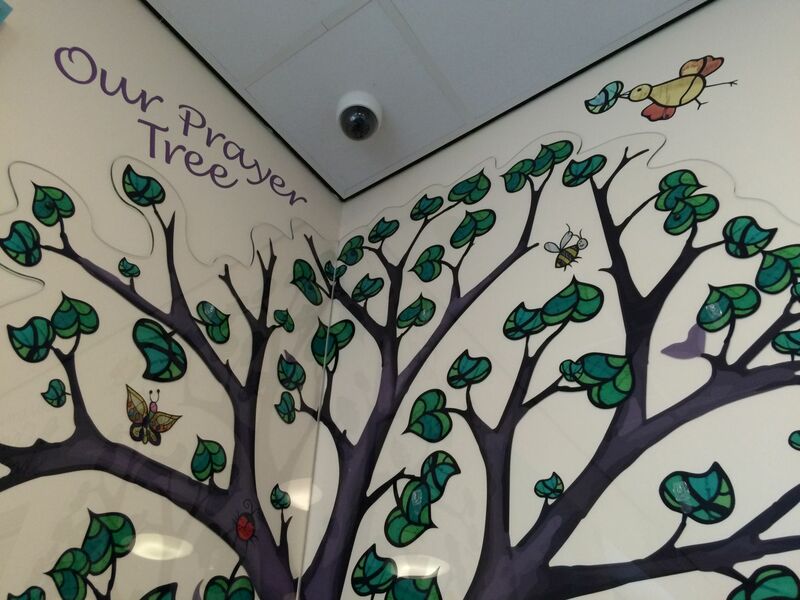 Ideal for a wall display in foyers, corridors, hall or library areas. 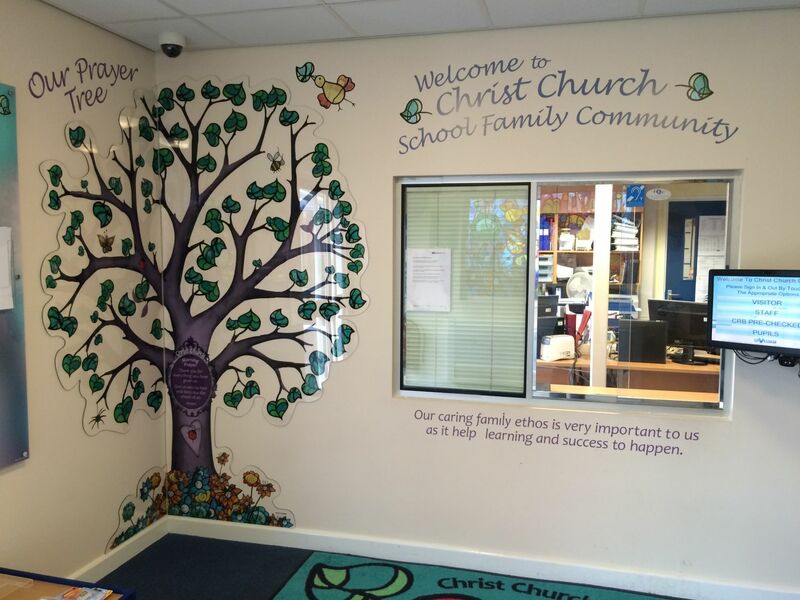 The central plaque on the trunk can be customised to your own School Prayer, Motto or Mission Statement.